By entering you confirm that you are of legal drinking age and agree to our terms and conditions. We have made our mark on the world beer chart and it has awarded us a rising star. How did all this happen? Well, it is far from a coincidence. In Belgium we are brewing far more beer than we are consuming ourselves. Relatively speaking we are Europe’s largest beer exporter. Belgian beer is at the pinnacle of quality craft beer and is now a top reference on a global level, attracting the same status as Scottish whisky or Italian wine. So what makes ‘brewed in Belgium’ so special? Top of the charts has to be our respect for centuries-old tradition. We don’t mean to say that we are living in a dusty beer museum. Far from it. Many brewers here are using brand-spanking new, gleaming stainless steel brewing kettles and have access to fermentation and maturation tanks that are forever increasing in size. Rochefort, a Belgian Trappist beer.. In the brewery labs everything is analysed down to the minutest detail. This is how the brewers manage to produce beers of consistent quality. After all, this is what the average beer drinker looks for in their beer. When he or she orders their usual pils, they will expect the same familiar taste in the glass every single time. All this sounds far easier than it actually is. And the more accessible the beer, and the less alcohol it contains, the harder it is to produce the same brew time after time. of beer economics. These experts act as advisers to the brewers. Just to provide an example: most established breweries are having clones of their yeast strains stored in the yeast banks managed by the universities. The academicians act as advisors for the development of new beers and collaborate with the brewery to find the right strain of yeast. In the meantime, they have developed a taste for test brewing themselves to the point where nowadays, albeit on a very modest scale, in their own microbrewery they try to resurrect beers that were thought to have vanished from the brewing world. Family breweries with roots going back to the 19th century or even more ancient have managed to ensure the survival of traditional beer styles, as shown by the story of the Belgian Family Brewers. In addition to the omnipresent pils there is a wealth of other options. The same procedure gives rise to the oude kriek, enriched with sour cherries this time around. This style of beer is given plenty of time to develop its complex flavours, just like the new generation of top-fermented beers matured in recycled wine, whisky or cognac barrels. The process allows the beers to absorb the rich aromas and tastes of the alcohol previously stores in these barrels. One of the finest aspects of Belgian beer culture is that it allows you to re-trace the origin of various traditional beer styles through the ages. quench the thirst of the farmers and seasonal workers in the summer to come. Abbey beers point out the historic importance of the monks, who were the educated people of their time. They advised people to drink beer instead of water as the quality of drinking water, especially in the cities, was way below par. Two hundred years ago our ancestors used to consume over two hundred litres of, albeit ‘small’ (low alcohol), beer per capita per annum. Nowadays we like to keep things civilised with a consumption of eighty litres per head, but the beer we enjoy these days is stronger and of a higher quality. Leafing through this virtual beer guide you cannot help but be ‘sucked into’ the rich Belgian beer world. You get a taste of the broad story of Belgian beer production or else you zoom in to explore the history of a well-known brewery and its beers. Beer Tourism went online in early 2013.
from all over the world is growing by the day. 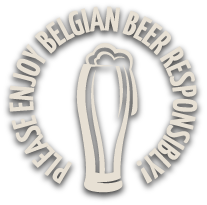 In addition to our website we continue to showcase the rich Belgian beer culture in different ways through our posts on Google+, Facebook, Twitter, LinkedIn, Instagram and Pinterest. You can use Beer Tourism as your window on the world of Belgian beer, freshly drawn from the source: the Belgian breweries. For many years Belgian beers were only talked about outside our country’s borders. We felt it was high time we turned things around and started wielding our own mashing stick. We do hope you enjoy what we have to offer. They are also making a contribution to the surprisingly diverse Belgian beer culture. The microbrewers have turned out to be a blessing for the entire beer landscape thanks to their abundant creativity. They shy away from what is traditional, are lightning-quick when it comes to picking up new trends and know how to translate these into our beer culture. They ensure that, in addition to ‘balance in the glass’, there is room for what may appear at first sight to be far-fetched experiments. And so, we are seeing niche beers co-existing happily with the mainstream. This creativity is now also fermenting and bubbling up into the Belgian food scene. After all the brasseries, taverns and pub-cafés that have found their way towards a good beer. Hobby cooks are also increasingly using beer in their kitchens. It’s all part of the trend towards ‘terroir’ where we see regional products gaining in popularity. Our enthusiasm for beer almost makes us forget that there are plenty of other riches to be discovered in our tiny country on the North Sea. With our travel guide to Belgium we would like to introduce you to our well-known towns and cities; Brussels of course, but those in Flanders and Wallonia too, all of them rich in both history and (beer) culture. Just think of Ypres that is mentioned in the same breath as Flanders Fields and the First World War, or Bastogne in the Ardennes, which still bears the traces of the Battle of the Bulge that was fought in the Second World War. The towns of Bouillon, La Roche and Houffalize take on the splendid colours of the forests of the Ardennes. Leuven, the birthplace of the world’s largest brewery, is laying claim to the title of beer capital. Poperinge is at the centre of Belgian hop cultivation. Nieuwpoort and Ostend bring you the salty tang of the beaches of the North Sea. So many cities, so many stories in what is after all only a tiny country. In Belgium you are never more than an hour’s drive away from entering another world where you will find a different culture and sometimes also a different language. This kaleidoscope of flavours and styles translates into your glass of beer. The good news is that you are never far away from tasting something that will tingle your taste buds. Open up all your senses. Take your time. Enjoy the slight air of inebriation. And above all, do let us know how it all went down!